More than 100 years ago it was constructed as a monument to new beginnings and opportunities along California's rugged Redwood Coast-a home to serve as a legacy for future generations. But where the oldest living things on Earth rise to meet the punishing surf of the mighty Pacific, an ancient evil resides. "It is the dead, and it is the house..."
For one girl in a wondrous age of discovery and invention at the close of the nineteenth century, the adventure of a lifetime becomes a nightmare for the ages. 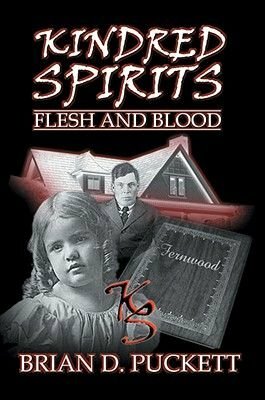 In a world of secrets, lies, and innocence lost, young Sibyl Fernwood must suffer the sins of her domineering father while confronting restless souls forever trapped in the mansion he has built. "Some wish only to communicate. Others, though, most certainly seek to harm and destroy..."
A witness to history, Sibyl documents it all in her journal. "How I wish I could read all that you will have written in this diary over the course of your amazing lifetime..."
Famous faces, memorable places-joy, even terror-she records the events that touch her life, including those that destroy it. "There is no rest where there is no peace..."